What is forecasting in finance? While many business events are unpredictable, forecasting in finance profoundly assist in decision-making, managing finances, giving your business a competitive edge, and exploiting various market trends. Financial forecasting is a significant part of business planning which utilizes historical data in determining the direction of future business trends based on the projected demands of available goods and services. Financial statements such as cash flow statements, examples of mergers, balance sheets, and income statements are easy to use since they apply information from the previous year. Businesses are guided by the actual financial statements for their forecasts to be realistic. Stock analysts utilize forecasting to deduce how unemployment or GDP trends will change within the quarter or the year. Businesses utilize forecasting in benchmarking themselves whenever they require a long-term perception of operations. Investors and financial analysts use financial forecasting to know if a company’s occurrences like sales expectations will decrease or increase the share prices of the company. Forecasts should be based on a short period to guarantee accuracy. Companies use financial forecasts to come up with reasonable budgets. 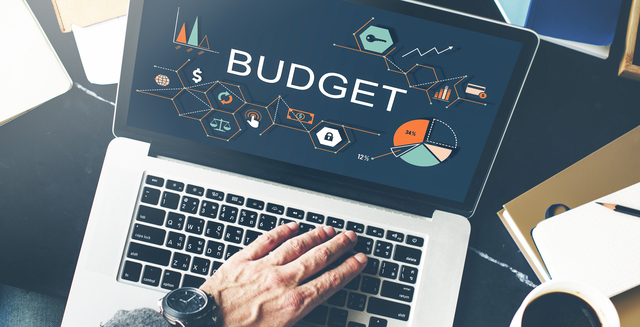 Budgeting and forecasting in finance comes up with plans or estimates for the future—what’s we know as budget planning. While forecasting tends to be inaccurate, budgeting has no space for inaccuracy. In budgeting, businesses usually state how much is spent towards advertising expenses, supplies, and payroll. Budgets are made according to the expected income and how previous money was spent. Once a business comes up with a budget, a forecast is conducted to allow them to determine the business’s capability in the long-term. Where forecasting describes the path a business is actually headed, budgeting determines where a business would want to be in future. The significant difference between financial modeling and financial forecasting is that modeling involves estimating or calculating the financial numbers of a company while forecasting encompasses what a company thinks about and requires for the future. Financial forecasting is a statistical discipline, unlike modeling which is a financial discipline. The former involves using historical inputs that are in terms of millions to come up with a range of guesses or the best guess of a particular outcome while the latter uses a range of estimates to determine the best answer. While financial forecasts utilize historical data in the decision-making process, financial models are mathematical models used by companies in determining the full performance and conducting historical analyses. Financial modeling requires one to have in-depth knowledge of the risk theories and the time value of money. It involves finding and analyzing the specific variables which cause an increase in money. Financial forecasting needs a financial model to understand the world and know where money is borrowed, allocated, and found. Therefore, an individual should be aware of trends in the capital markets, applications of debt and equity, and the source of money. The ability to predict revenue fluctuations allows a business to determine the budget and overcome cash flow issues accurately. Every business needs to conduct a financial forecast since it allows them to anticipate profits. The bottom-up and top-down analyses are the most common models used in financial forecasting. Bottom-up analysis: It considers factors like the addressable market, department-specific expenses, and production capacity to determine the most accurate sales projection value. It is based on the service or product used in finding the projected value. Top-down analysis: Unlike bottom-up analysis, a top-down analysis is based on the market and comes down to individual businesses. To conduct a top-up analysis, you first find the available market size factoring in important trends in sales. Then approximate the market section which will purchase your goods and services. A top-down analysis assists businesses in determining their strengths and weaknesses. Financial forecasts have a higher degree of freedom as compared to budgets since they must not necessarily be utilized as planning documents. Financial analysts and statisticians use financial forecasts in approximating a business’ success in future. Let’s take a look at the steps of financial forecasting. Identify the key assumptions: Business figures are as important as the assumptions hence the need to explain the source of both. The primary assumptions in financial forecasting are inflation rate, capital expenditure, customer growth, sources of revenue, and capital borrowing and repayment. Establish a base year: As stated earlier on, financial forecasting uses historic and current data to estimate a business’s fate in future. Some businesses prefer using the current year as the base year while others choose the last full fiscal year’s financial statements. Regardless of the base year choice, adjustments should be made for the available measures like pay raises, changes in benefits, and revenue stream changes. Evaluate expenditure and revenue growth trends: Businesses should be aware of factors that cause an increase or decrease in expenses and revenue to avoid miscalculations. Assessing costs and income trends enables a business to know whether they are likely to incur losses or profits in future. Choose a forecasting method: Take a look at the advantages and disadvantages of the two most common forecasting methods, top-down and bottom-up analyses, then select the best one. Assess the validity and reliability of the data used in making the fundamental assumptions: Just to be sure and avoid the common mistakes people make; it is advisable to go through the data used in making assumptions. Observe expenditure and revenue levels against the forecast: Before submitting the final forecast value, it is important to assess the cost and income levels, explain the differences, and make the required forecast based on the differences. Financial forecasts may seem time-consuming, and most students struggle with formulae, financial models such as CAPM model formula, and calculation processes that are involved in this topic. Besides, most lack a grasp of the basic concepts in this area such as forecast ability, uncertainty, variation, forecasting methods finance, and randomness, and therefore, end up making mistakes in assignments that involve financial forecasting. Finance Homework Help understands all these and has assembled a team of experts in the areas of finance, economics, management, and accounts to help you with finance problems just like this one. You can post your finance inquiries on our active chat tool, and you will be attended to instantaneously. If you order an assignment at low cost, be sure to receive it exactly on the agreed time. Still can’t figure out what is forecasting in finance? Just give us a call!